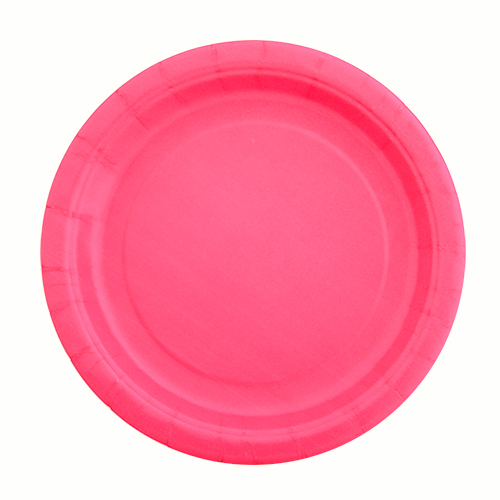 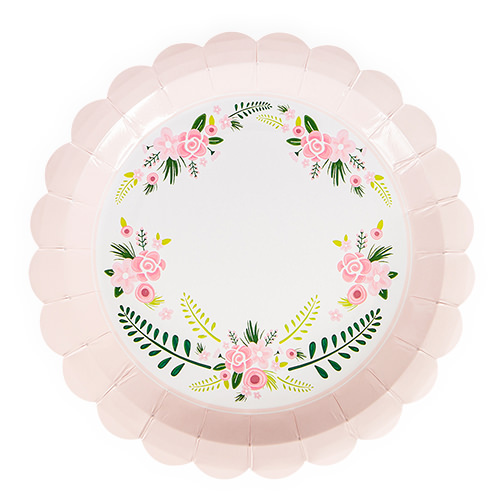 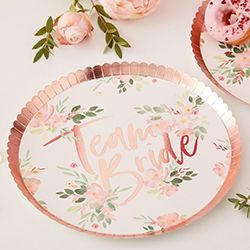 Serve your snacks in style with these Floral Team Bride paper plates and add a real element of class to your party. 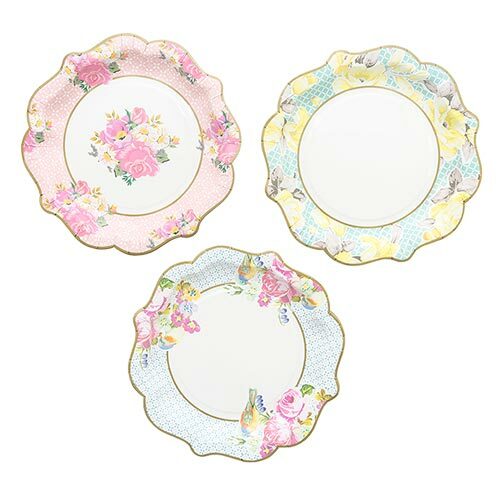 Along with the matching cups and napkins these plates can really make your afternoon tea, snacks or cakes look the part. 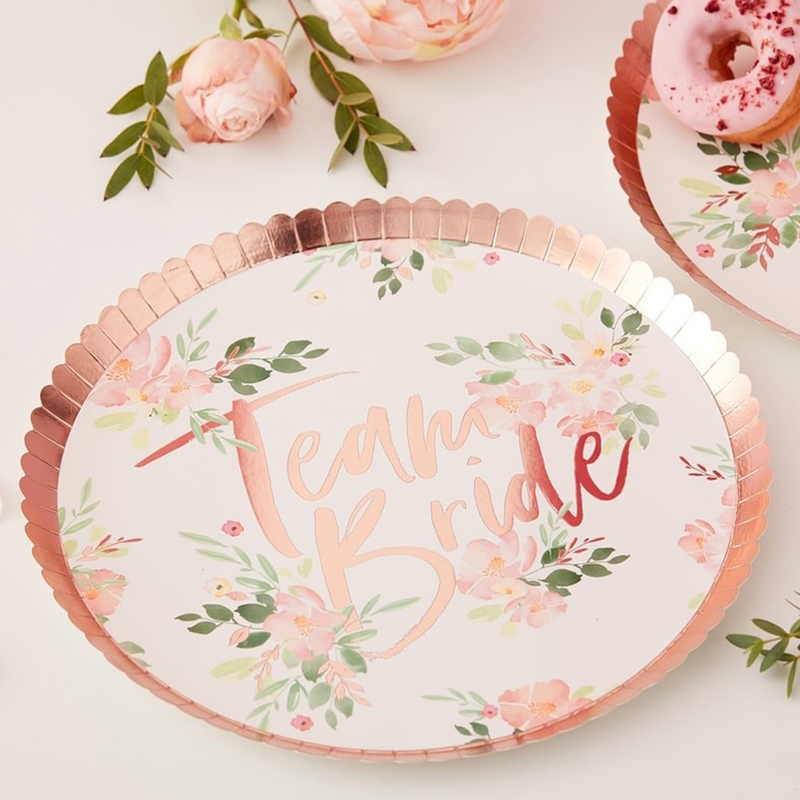 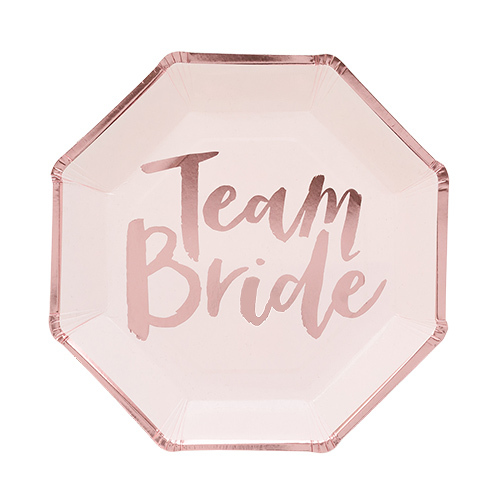 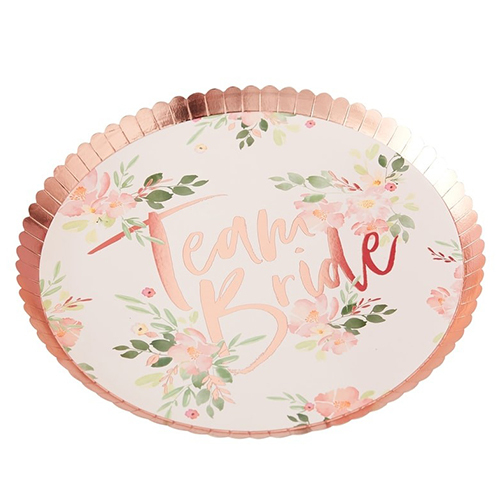 This is a pack of 8 plates with each measuring 24cm in diameter, they have the floral and rose gold design and there is a rose gold wavy edge too.